Lallemand develops, produces and markets high-value yeast and bacteria products including probiotics, silage inoculants and yeast derivatives. These innovative solutions positively benefit animal nutrition and well-being, forage management and the animal environment. Using sound science, proven results and knowledge from experience, Lallemand applies the right strains for the right applications to have the greatest impact for our customers. Lallemand Animal Nutrition is committed to optimizing animal performance and well-being with specific, natural microbial product and service solutions. 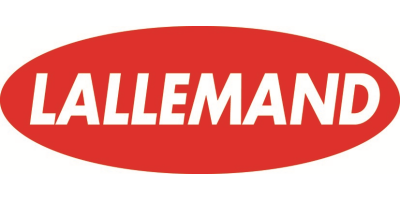 Lallemand has offices; yeast and bacteria production facilities; and distribution centers around the world to serve a growing number of countries everyday. CONDUCTING BUSINESS WITH CUSTOMER EMPHASISLallemand Animal Nutrition takes a strategic approach to its business activities – always with the customer in mind. Lallemand’s Animal Nutrition activities began in 1988 with the acquisition of the Equilait / Equipharm bacteria plant in Aurillac (France) and an agreement signed with Omnium Homeopathique Francais (O.H.F. ), which led to the development of two active dry yeasts: LEVUCELL SC and LEVUCELL® SB.